JOURNEY BACK TO THE ISLE OF BERK FOR ORIGINAL GRAPHIC NOVEL ADVENTURES IN 2016. You’ve seen them on the big screen. You’ve ridden with them on television. In 2016, the dragons are coming to comics. At New York Comic Con 2015, DreamWorks Animation and Dark Horse Comics announced a comprehensive original graphic novel program to expand the incredible mythology of How to Train Your Dragon, the Academy Award® nominated and Golden Globe® winning film series. Releasing in 2016, How to Train Your Dragon: The Serpent’s Heir begins mere hours after the events of How to Train Your Dragon 2 as Hiccup and Toothless are thrust into their new roles as chief and alpha. The graphic novels mark an exciting expansion in the Dragons universe, with the first look into what happens to the riders following the conclusion of the second film. 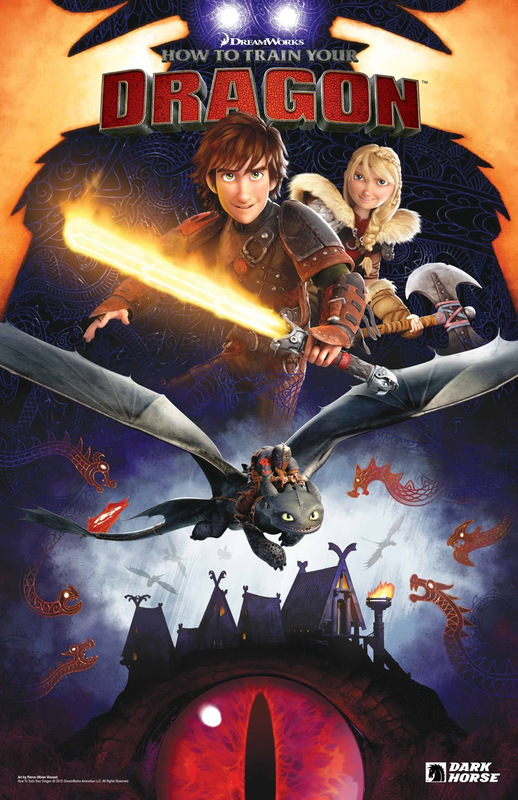 Co-written by Dean DeBlois, writer/director of the How to Train Your Dragon films, and Richard Hamilton, writer on Dragons: Race to the Edge, the How to Train Your Dragon graphic novels are an essential piece of the puzzle for all fans of Hiccup, Toothless, and the dragon riders of Berk. How to Train Your Dragon: The Serpent’s Heir will be available in 2016.